Cherry Creek Arts Festival Think anniversary birthday cakes, interactive “artivities,” DJs, live music, dancing, free cherries (oh, because of Cherry Creek), an award-winning collection of regarded artists from around the world, and a bevy of local and national food vendors to keep your energy high. The main events take place on July 3rd-5th, but show up at 7pm on July 2nd to catch the Artist Preview Event where 27 of the 260 visual artists will be giving sneak peaks 'til 10pm. Cherry Creek Arts Festival Cherry Creek North from 2nd to 3rd Avenues and Columbine and Steel St Think anniversary birthday cakes, interactive “artivities,” DJs, live music, dancing, free cherries (oh, because of Cherry Creek), an award-winning collection of regarded artists from around the world, and a bevy of local and national food vendors to keep your energy high. The main events take place on July 3rd-5th, but show up at 7pm on July 2nd to catch the Artist Preview Event where 27 of the 260 visual artists will be giving sneak peaks 'til 10pm. Lola Mexican Fish House's July 4th Barbecue Lola Mexican Fish House is celebrating the Fourth with BBQ pork ribs, pollo asada, and smoked chicken wings dished out all day with lots of Tecate. And because this is America, a taco-eating contest will kick off at 3:30pm! 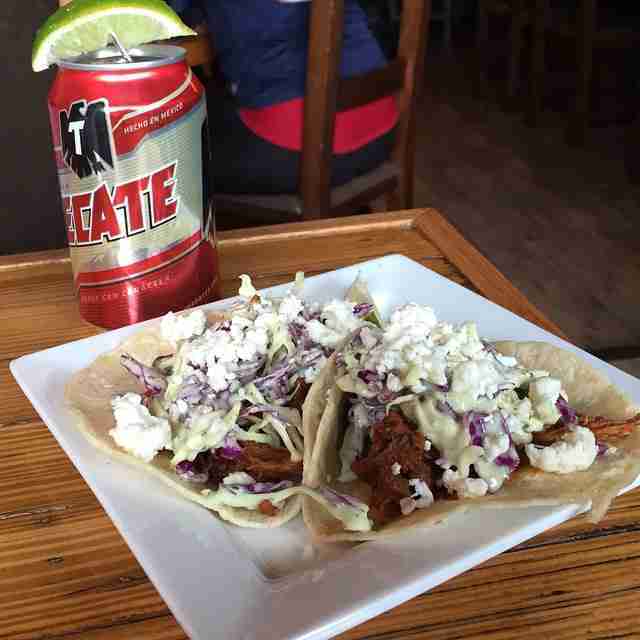 Lola Mexican Fish House's July 4th Barbecue Lola Mexican Fish House Lola Mexican Fish House is celebrating the Fourth with BBQ pork ribs, pollo asada, and smoked chicken wings dished out all day with lots of Tecate. And because this is America, a taco-eating contest will kick off at 3:30pm! The Post Brewing Co.'s Independence Day Jubilee If a traditional, red-blooded American celebration of independence is more your speed, then hit Post for shredded pork shoulder sandwiches, ribs, cole slaw, baked beans, and corn bread along with some homemade cherry pie. The party starts at 4pm and the fireworks go up when the sun goes down. 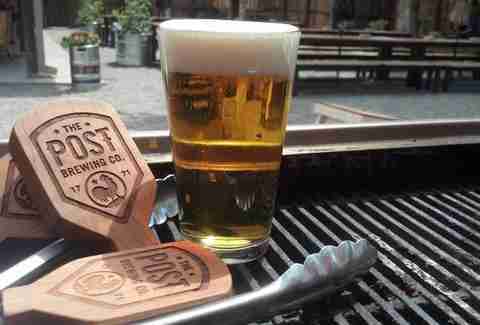 The Post Brewing Co.'s Independence Day Jubilee Post Brewing If a traditional, red-blooded American celebration of independence is more your speed, then hit Post for shredded pork shoulder sandwiches, ribs, cole slaw, baked beans, and corn bread along with some homemade cherry pie. 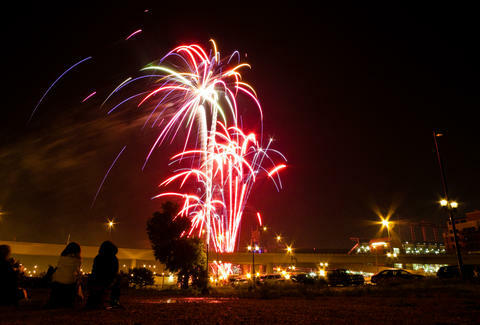 The party starts at 4pm and the fireworks go up when the sun goes down. 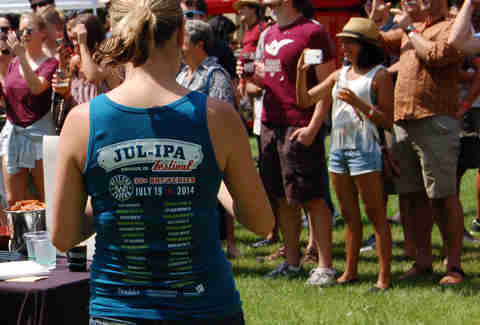 JUL-IPA Festival Over 30 breweries are bringing their (IP)A game to the seventh iteration of this brew fest, where the West End Tavern is dishing out tasty bites to counter the naturally high ABVs, and there’ll be live tunes from Sixty Minute Man and The Goonies. But not like, those Goonies. JUL-IPA Festival Millenium Harvest House Over 30 breweries are bringing their (IP)A game to the seventh iteration of this brew fest, where the West End Tavern is dishing out tasty bites to counter the naturally high ABVs, and there’ll be live tunes from Sixty Minute Man and The Goonies. But not like, those Goonies. The Big Wonderful Meeting on the Mountain, a multi-show live broadcast experience, will rock slick tunes at this month’s Big Wonderful gathering. Expect the usual terrific vendors supplying food and bev while the stage features music by Yarn, Benny “Burle” Gallowy, and an opening set by The Sweet Lillies. The live taping starts at 4:30pm. The Big Wonderful 2500 Lawrence St Meeting on the Mountain, a multi-show live broadcast experience, will rock slick tunes at this month’s Big Wonderful gathering. Expect the usual terrific vendors supplying food and bev while the stage features music by Yarn, Benny “Burle” Gallowy, and an opening set by The Sweet Lillies. The live taping starts at 4:30pm. Beats on the Creek This summer concert series will start the season off with Under a Blood Red Sky, the U2 cover band, performing on one of the old train bridges while you enjoy tasty food and libations provided by Coohills. The first tune plays at 6pm. 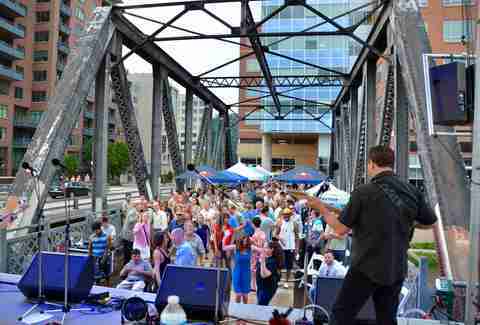 Beats on the Creek 1400 Wewatta St This summer concert series will start the season off with Under a Blood Red Sky, the U2 cover band, performing on one of the old train bridges while you enjoy tasty food and libations provided by Coohills. The first tune plays at 6pm. Wilco at Red Rocks If you went to Nickleback at Red Rocks earlier this month (what the hell were you thinking?! ), you can totally make up for it by going back there for Jeff Tweedy and crew. Steve Gunn will prime the stage at 8pm with Wilco in tow shortly after. Wilco at Red Rocks Red Rocks Amphitheatre If you went to Nickleback at Red Rocks earlier this month (what the hell were you thinking?! ), you can totally make up for it by going back there for Jeff Tweedy and crew. Steve Gunn will prime the stage at 8pm with Wilco in tow shortly after. Underground Music Showcase The Denver Post’s annual music fest brings over 400 different bands to 20 different venues over four days. How many can you see? Underground Music Showcase 7 S Broadway The Denver Post’s annual music fest brings over 400 different bands to 20 different venues over four days. How many can you see? Jackalope Art & Craft Fair Held at the EXDO Event Center in RiNo, a neighborhood that is pretty much all DIY, this inaugural event will feature over 200 local artists displaying their unique and indie products for attendees to purchase, and there will even be a workshop to help you create something all your own. Jackalope Art & Craft Fair EXDO Event Center Held at the EXDO Event Center in RiNo, a neighborhood that is pretty much all DIY, this inaugural event will feature over 200 local artists displaying their unique and indie products for attendees to purchase, and there will even be a workshop to help you create something all your own. MLS All-Stars vs. Tottenham Hotspur Real quick, Tottenham Hotspur is a Premier League football team from London, and even though they’re not that good, they are good enough to take on the very best the MLS has to offer. The game kicks off at 7pm. 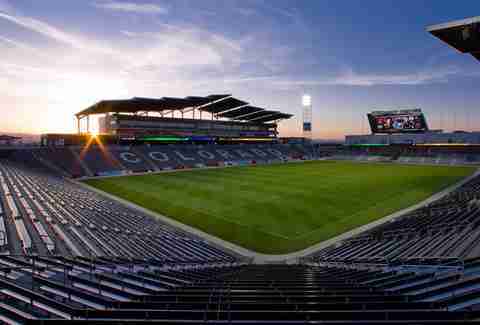 MLS All-Stars vs. Tottenham Hotspur 6000 Victory Way, Commerce City Real quick, Tottenham Hotspur is a Premier League football team from London, and even though they’re not that good, they are good enough to take on the very best the MLS has to offer. The game kicks off at 7pm. Music on the Green: Dragondeer Every Friday, ViewHouse hosts Music on the Green, a summer concert series set at the massive Centennial restaurant. This Friday’s event features local band, Dragondeer, and all their sultry guitar riffs, catchy harmonica solos, and belting blues-heavy vocals. Like all Music on the Green acts, the show starts at 6pm. Music on the Green: Dragondeer ViewHouse Every Friday, ViewHouse hosts Music on the Green, a summer concert series set at the massive Centennial restaurant. This Friday’s event features local band, Dragondeer, and all their sultry guitar riffs, catchy harmonica solos, and belting blues-heavy vocals. Like all Music on the Green acts, the show starts at 6pm.